Waxing has always been popular. And you can see why – it’s quick, easy and inexpensive. Yet it does have its drawbacks with in-growing hair a potential problem and of course, the “ouch” factor. Clinic director Lorraine Scrivener examines the pros and cons so you can decide which is best the solution for you. Always remember we’re delighted to book a consultation with one of our highly experienced practitioners. We discuss your concerns, assess your needs and advise you on how best to remove unwanted hair. 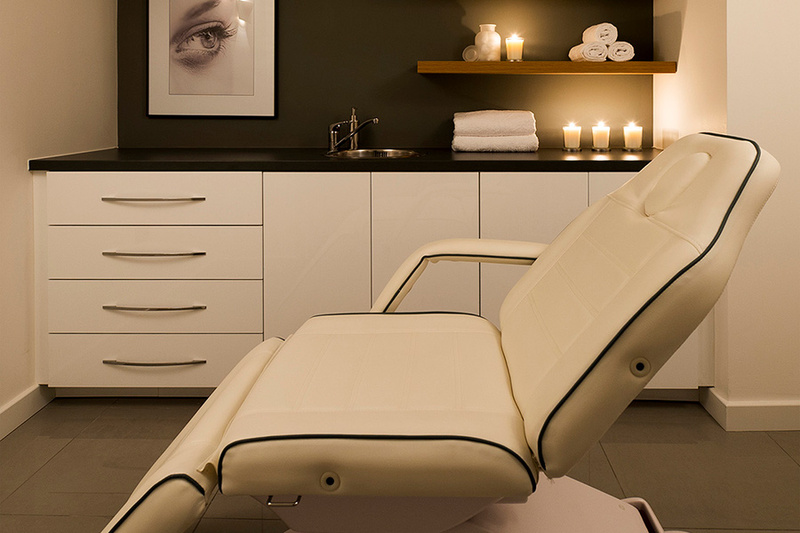 We offer specialist hair removal treatments for both men and women. Laser hair removal works by penetrating the skin to target the hair shaft and destroy the follicle. Your unwanted hair is permanently removed. IPL hair removal is one of those treatments that all clients say they wish they’d had done years ago. It usually takes just 6 to 8 sessions and the result is a permanent reduction of unwanted hair. Laser removal doesn’t damage the dermis so even those with sensitive skin can be treated. Is laser hair reduction uncomfortable or painful? Clients say they feel a flick on the skin with a feeling of warmth. It has been described as a “snapping” sensation against the skin. However, this sensation disappears when we apply soothing Aloe Vera immediately afterwards. At Eden Skin Clinic we do not recommend using a pre-treatment numbing cream as it can cause vascular dilation and may disguise how this skin is reacting to the treatment. You may have read that laser hair removal is best for people with dark hair and light coloured skin and that it isn’t so effective for those with dark skin or pale hair. 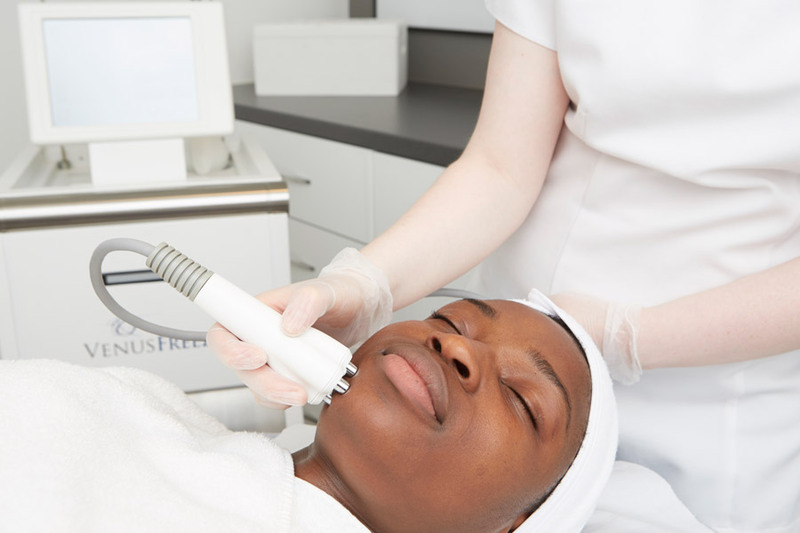 Whilst this is true with some equipment, at our Kensington London clinic we specifically invested in the state-of-the-art IPL Ellipse IPL technology so we can treat all skin types. The IPL Ellipse is the system of choice for the NHS. I always emphasise the importance of exfoliating 4-5 days after each IPL session to encourage the unwanted hairs to shed. You will notice the hair becoming progressively thinner and finer as your treatment course progresses. IPL treatment can affect the melanin in your body so we advise you do not have a laser hair removal session 30 days before, and 30 days after, a holiday to sunny climes. Early winter is an ideal time to start a course of laser hair removal treatment. Always inform your IPL practitioner if your medication changes, as some medications can make the skin photo-sensitive. You should shave (rather than wax) between laser hair removal sessions. Why? Because any pulling on the root when waxing can stimulate the blood supply and hinder the progress of the IPL treatment. We always discuss your proposed treatment in depth at our initial consultation, and carry out a patch test as your safety and well-being are paramount. We also advise you on the use of Aloe Vera to sooth and hydrate your skin following the treatment. Although the initial cost of laser hair removal can seem expensive, when you compare this to the cost (and discomfort) of a lifetime of waxing sessions then it is a worthwhile investment. Learn more about laser hair removal for both men and women at Eden Skin Clinic here. Waxing is quick and easy, and does remove all of the unwanted hair in one session. The result is a silky smooth finish. However hair does start to grow back usually within three weeks and some stubble is required in order to wax next time. The hair follicle is pulled out of its root, which in some people can cause permanent in-grown hair, which is painful and unsightly. Looking after your skin in between waxing sessions with moisturising and exfoliation will often help; however, if you’re prone to in-grown hairs then I believe laser hair reduction is the perfect solution for you. At Eden Skin Clinic we prefer to use Lycon Wax, a natural Australian resin used with a pre-wax oil to protect the skin, making Lycon waxing ideal for sensitive areas and skin. Many clients tell us Lycon waxing is virtually pain-free and the best wax they have ever tried. Waxing is suitable for almost any area of the body, and is popular with our male clients for backs and chests. If you’ve not used Lycon wax then do give it a go. You’ll soon realise what you’ve been missing. Ensure hairs are not too long, as this can make it more uncomfortable. Regular waxing sessions ensure the hair comes out more easily and feels less sore. Don’t mix shaving and waxing. It’s not worth it. Shaving blunts the hair and irritates the skin meaning your next waxing session will feel more painful. Always use Aloe Vera after your waxing session to cool the area and hydrate your skin. Avoid heat treatments and tight clothing for 24 hours after your waxing treatment as this can rub and irritate the skin. Exfoliate your skin once a week to remove dead skin cells and lift potential in-growing hairs. Moisturise daily. If your skin is soft the hair will re-grow with less irritation.